Anguilla will always win my vote for the best of all Caribbean islands. One of the most exciting parts of life on the island is the easy access to other Caribbean islands. Traveling to the Caribbean from Montreal was a tedious task, but now? We do it with ease. There is something magical about taking the Anguilla ferry to St. Maarten, looking at the flight boards and seeing boarding times for such exotic locations... Curacao, Montserrat, even Port au Prince. You wait in the WinAir gate. They call your flight and a few other people stand up with you. Together you board the bus, and take a quick ride. A walk across the tarmac to your tiny WinAir plane comes next. The pilot tells you to put on your seat belt. The engines rev, the propellers spin. 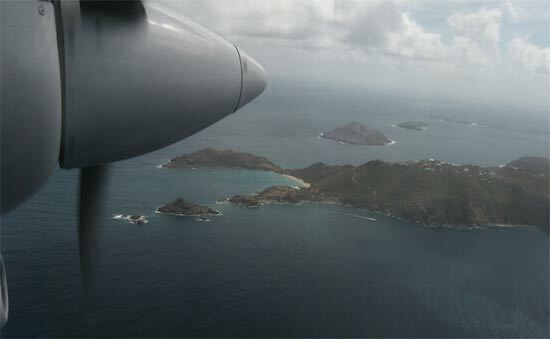 Caribbean islands are picture perfect from the sky. Soaring high above, I always think, "This isn't reality, this must be some kind of movie magic!" It's unreal. And once you are there? Prepare for an interesting adventure that will vary from the Caribbean island you were visiting before, in its people's character, its terrain, climate, food, traditions and, of course, culture. Island hopping is an exciting way to travel! In the next few years I hope to cover the Caribbean by boat or by plane or maybe both? ;-) Caribbean islands inspire such exotic imagery and are so intriguing. There is so much to discover and experience! The cost factor is also attractive: prices for flights, hotels and dining don't have to be outrageous if you do it right. And travel time between Caribbean islands tends to be pretty speedy. Living in the Caribbean, has opened up a whole new world of travel. We are working on putting more Caribbean stamps in the passport. He he! The next ones on my list? Puerto Rico, Cuba, Dominica, and Trinidad. If you have any recommendations on traveling to other Caribbean islands please click here to share your stories. I would love to hear all about your trips. I am always looking for travel tips and information about different islands! After a few days surfing Tortola, BVI, one thing quickly became clear... this is the place to spend a couple of weeks if you want to really improve your surfing game. When the conditions are right, Tortola brings world-class, head-high waves, from gradual rollers to the more critical and steep. With a variety of waves suited for different levels of skill, Tortola is a laidback surfing paradise! 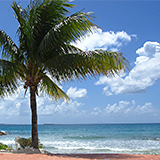 Set on the small and scenic Frenchmans Cay, Frenchmans Cay Resort is a top-choice boutique hotel. Made up of just nine stand-alone villas, sprawled across a large, lush property, privacy and peace is well afforded. Between the nicely maintained and fresh rooms, the views out to both the mountains of St. John and Tortola, the resort's private beach, pool and restaurant, you feel right at home at Frenchmans Cay Resort. Serving a mouthwatering and creative breakfast daily to guests at Frenchmans Cay Resort, Chef Paul Mason's morning creations tempted us to return for dinner. Twice! Accenting classic dishes with Caribbean flavors and that which is available locally, the meals were expertly prepared, the flavors on-point. The price was right, and the service was warm and friendly, right in keeping with the whole feel of Frenchmans Cay. Barbados is an island we know well, but only secondhand. Many friends and family have been visiting the island for years. It was finally time for the Evoy family to experience the British-influenced, bustling Windward island, the Caribbean's most Easterly point. This alluring Windward island has long been in on our must-visit Caribbean island list. What is more captivating than the mysterious Pitons? The picture-perfect crescent moon sandy beaches? This volcanic island had sat on our list for too long. 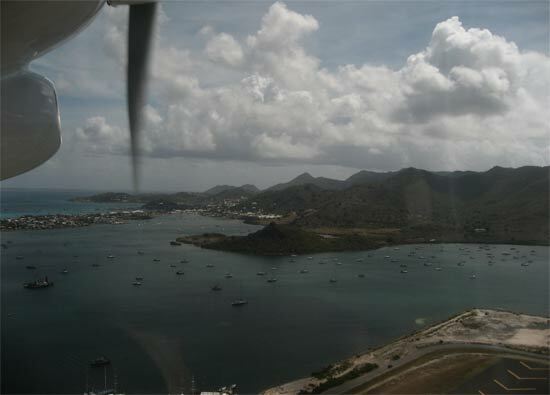 Finally, we climbed aboard LIAT to experience St. Lucia. 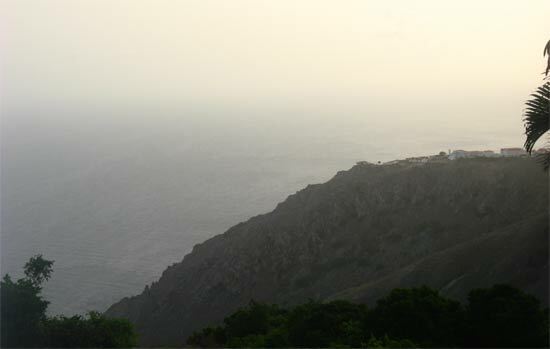 I heard about Saba before I knew about Anguilla. It always struck me as being an enigmatic island, a volcanic rock, hiding in the clouds, in the middle of the sea. Despite it's mysterious nature it is only 15 miles from St. Maarten, and inexpensive, too. Curiosity got the better of me, and I took a trip with a friend. Ok, ok. So this wasn't a daytrip, it was a three-day-trip! But many people do go over just for the afternoon. If you have the time, a trip to the land of luxury is well worth it! Held annually in St. Barths, the West Indies Regatta is indeed picturesque. We spent a few days in St. Barths with some of the most historic boats in the Caribbean, including Anguilla's very own, Tradition! Sint Maarten is the second Caribbean island my family visited, after Anguilla. I have never stayed overnight on the half French, half Dutch island, but when on an Anguilla vacation we would always make a trip to the French side. 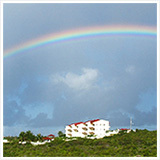 Now that we are living on Anguilla, visiting St. Maarten is a regular thing! March 2008 visit to Grand Case, St. Martin. Set overlooking Grand Case, the Caribbean Sea and Anguilla in the distance, Hotel L'Esplanade is an idyllic hotel with a terrific location. Right near the most fun part of St. Martin, Grand Case, with spacious and nicely appointed suites, we call Hotel L'Esplanade home on long weekends in St. Martin! On Grand Case's central road, Bistrot Caraibes is a cut above the rest. Owners Thibault and Amaury Meziere have created one of the ultimate five-star French-Caribbean dining experiences. From the menu (featuring favorites like ultra-fresh Lobster Thermidor), to the refined-yet-cozy setting that's right in the heart of Grand Case's cool-Caribbean vibe, it's our #1 choice. Grand Case, with its uniquely French-Caribbean vibe, is a must-see on a day trip to St. Martin. Serving lunch all day (one of the few French restaurants that do), Ocean 82 is a convenient spot for an elegant-yet-laidback meal of French food and wine. And, overlooking Grand Case beach, with Anguilla in the distance, its setting is one of the best. March 2004 update visit to St. Martin. March 2003 update visit to St. Martin. St. Martin is home to a variety of surfing breaks, from ones ideal for beginners wanting to improve, to those perfect for the more intermediate and advanced. With St. Martin surfer Franck Rigal of SXM Surf Explorer as your surf guide and teacher, taking a surf lesson, surrounded by St. Martin's exotic scenery of turquoise seas and mountainous terrain, is a fun and unique way to spend an afternoon. Located right on Galion beach (just a short boat ride away from Galion's popular reef break), Tropical Wave serves tasty food at a reasonable price. Feet in the sand, the vibe is cool and laidback. It really is the perfect spot to wind-down and enjoy that post-surf calm! From inside barreling waves, to at a shark's side Alex Guerre, a hobbyist photographer based in St. Martin, captures beautiful tropical scenes in a special way. Warm and personal, yet professional and of a high quality, his photos have a unique characeristic, one that I've fallen in love with! When visiting Anguilla, most people think of Puerto Rico as a necessary stop along the way, using Puerto Rico's Luis Muñoz Marín International Airport as a regional hub. However, at a flight time of only 40 minutes from St. Maarten, Puerto Rico can also be an excellent weekend trip for the unique experience of Old San Juan and surfing in Rincón. Until recently we had never stepped foot in San Juan, despite having touched down in its major airport several times to catch a connecting flight to Anguilla. On a recent trip, we decided to call Old San Juan home for a few days. A vibrant, genuine and historic district, Old San Juan now sits firmly on our list of top favorite spots in the world! ... And, in Old San Juan, there's no better place to stay than El Convento. Centrally located, with five-star service and a dedicated team who ensure a smooth vacation, El Convento can't be beat. Luxurious in the most elegant way, their Gloria Vanderbilt Suite is the most coveted of all, often hosting some of the biggest stars and celebrities when they are in San Juan. The surf capital of the Caribbean, Rincón is known around the globe for its 20-30' winter waves. The site of pro competitions and home to some serious surfers, a trip to Puerto Rico isn't complete without a visit to this laid-back surf-town. I would love to hear all about your travels to other islands and tips about where to eat, stay, what to do and how to get there! Click here to see the rest of the form and share your Caribbean island story.